It's hard to imagine the lifestyle that goes hand-in-hand with being a world-renowned DJ. Between the back-to-back shows, latenight sets, and nonstop traveling, the electronic music world seems to be one of the most demanding in the biz. Luckily, it's chalk-filled with people who love what they do—case and point, Ephwurd. 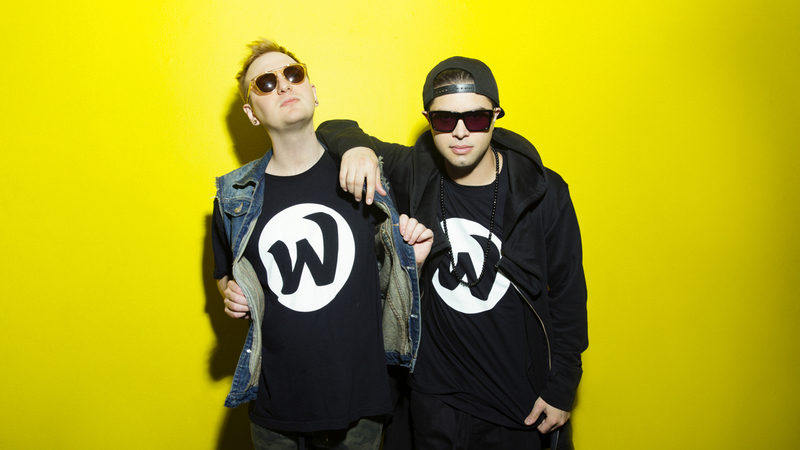 The EDM duo, made up of Datsik and Bais Haus, hit the ground running when they teamed up in 2015 to release their first single, "Rock the Party", and we've been obsessed with them ever since. In the midst of all the madness (plus their individual, solo projects), the two-piece also found time to create their own show, Eph’d Up Radio, and embark on a North American spring tour. Kicking off in Columbus, Ohio on May 5, the run led them to San Diego, Kansas City, and Seattle, culminating in a final stop on Thursday, June 1 in New Orleans. Before the tour was over, the guys built a playlist exclusively for Bandsintown that sums up their on-the-go schedule. Check out a brief note from Ephwurd, then listen to their Red-Eye Recovery Playlist below!